Data released by the Ministry of Petroleum & Natural Gas shows India’s fuel consumption rose by 10.9 percent, from 165.5 million tons to 183.5 million tons, in the 2015-2016 financial year ending March 31. Breaking down the data, diesel consumption jumped 7.5 percent to reach 74.6 million tons and petrol sales increased by 14.5 percent to 21.8 million tons. Projections for 2016-2017 remain equally robust. According to A K Sharma, Finance Director, Indian Oil Corporation, petrol demand in the new financial year will rise by 11 percent and diesel around four percent. Kerosene demand has fallen as the government has favored the replacement of the heavily subsidized fuel with LPG, whose sales were up 8.6 percent to reach 19.5 million tons. Naptha, a hydrocarbon mixture, also saw a big jump in domestic consumption by 20.9 percent to 13.4 million tons, leading to the decline in its exports. Finally, jet fuel (ATF) consumption rose by 8.7 percent to 6.22 million tons. The soaring fuel demand in India is a clear indication of India’s expanding economy, with robust activity registered in the manufacturing, agriculture, and airline sectors. Unprecedented rise in consumption levels is also attributed to the fastest pace of growth in automobile sales in the last five years. This also favored the petrol vehicle category due to the narrowing diesel-petrol price differential. A new solar power policy is being formulated by the Niti Aayog, based on recommendations of a high-level inter-ministerial committee set up by the Department of Industrial Policy and Planning (DIPP). The policy will be in line with Prime Minister Narendra Modi’s government’s ambitious solar energy plan to establish a generation capacity of 100 GW by 2022. As of now, the domestic generating capacity stands at only about 6000 MW. This has spurred demand for imported final equipment as well as components from China and Taiwan, challenging Indian solar manufacturers. The proposed solar policy thus aims to create an enabling environment to expand both India’s solar generation capacity and promote domestic manufacturing of equipment. The policy could include off-take guarantees, 100 percent payment guarantees, an institutional hedging mechanism for foreign investments, and a stringent offset. In terms of funding, it has been suggested that the National Clean Energy Fund could finance targeted capital subsidies for domestic manufacturers, technological upgradation, and hedging support, among others. Earlier, in a stop-gap measure, the Indian government had introduced the provision of mandatory sourcing of locally made components in the solar sector. This led the U.S. to file a case with the World Trade Organization (WTO), which it subsequently won. While the Indian government has challenged the WTO decision, it is also seeking to encourage foreign companies to set up manufacturing facilities in India via the Make in India program. The government will link 21 regulated agricultural produce markets (mandis) from eight states via an electronic trading platform called the National Agriculture Market (NAM). The authorities have so far approved 365 mandis from 12 states to join the platform, and 200 more mandis are expected to join by March 2017. Initially, to assess the system’s functionality, 12 commodities will be traded on the online platform and not in the physical market – castor seed, paddy, and wheat. Successful implementation of NAM will also require intra-state trade laws to be streamlined. Punjab is opposed to this and has been reluctant to join NAM. Launched by the government in honor of B R Ambedkar, the economist and social reformer, the move is aptly timed. Several areas of Maharashtra state are currently reeling from severe drought and poor growing conditions. Moreover, producers and farmers’ incomes have constantly suffered due to the prevailing structure of the commodity market. Presently, the agriculture market sees big traders form cartels in order to impose artificially raised prices on farmers or engage in hoarding. Further, produce such as onions and potatoes are sold at different rates in different states. NAM seeks to tackle this corruption and inefficiency by creating a unified market where farmers avail more competitive prices, and consumers are provided with more options and a steady food supply. An online market will also reduce transaction costs, and provide a singular window for quality testing and licensing. 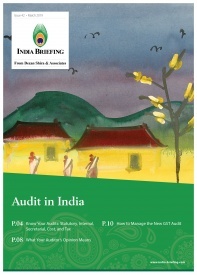 In this issue of India Briefing Magazine, we spotlight three issues that financial management teams for India should monitor. 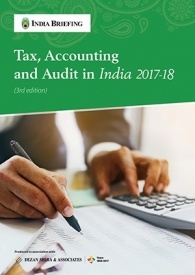 Firstly, we examine the new Indian Accounting Standards (Ind-AS) system, which is expected to be a boon for foreign companies in India. We then highlight common filing dates for most companies with operations in India, and lastly examine procedures and regulations for remitting profits from India. 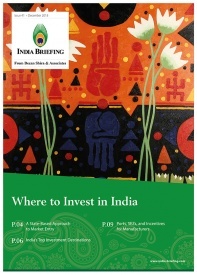 In this edition of India Briefing Magazine, we explore important amendments to India’s foreign investment policy and outline various options for business establishment, including the creation of wholly owned subsidiaries in sectors that permit 100 percent foreign direct investment. We additionally explore several taxes that apply to wholly owned subsidiary companies, and provide an outlook for what investors can expect to see in India this year. Doing Business in India 2015 is designed to introduce the fundamentals of investing in India. 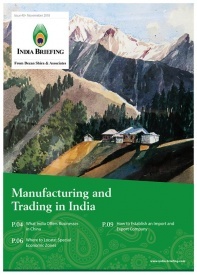 As such, this comprehensive guide is ideal not only for businesses looking to enter the Indian market, but also for companies who already have a presence here and want to keep up-to-date with the most recent and relevant policy changes. 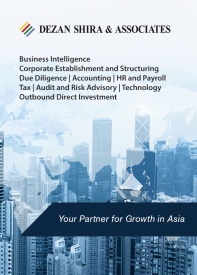 We discuss a range of pertinent issues for foreign businesses, including India’s most recent FDI caps and restrictions, the key taxes applicable to foreign companies, how to conduct a successful audit, and the procedures for obtaining an employment visa.